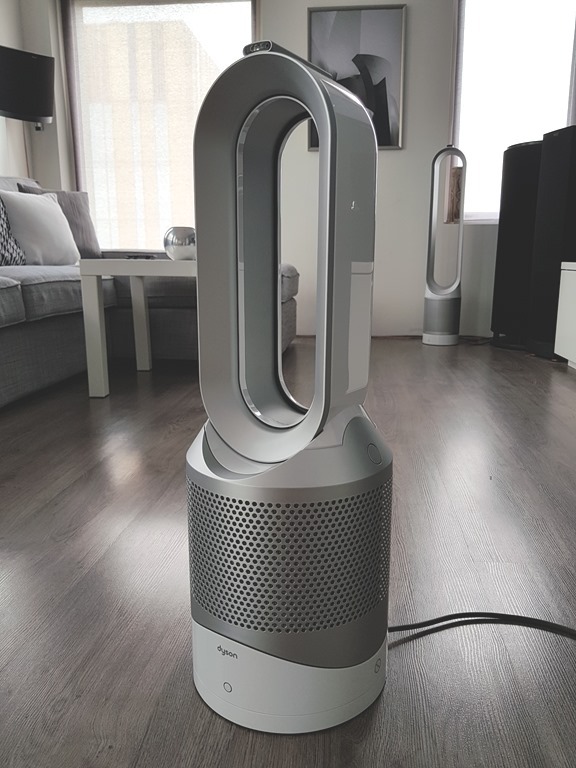 When Dyson gave their fan the purifier-and-smart-device treatment and called it the Pure Cool Link (PCL), we applauded them for the smooth transition to the smart era, the inclusion of an effective air purifier, all while keeping Dyson’s trademark design and performance. It was only a matter of time before they did the same with their line of heaters. The end result comes in the form of the Pure Hot + Cool Link (PH+CL), a device that’s technically more advanced than the PCL due to the inclusion of a heater. Has the transition of their heaters to the smart and connected segment been as successful as their first attempt? We suggest reading the Pure Cool Link review, which can be found here, as it shares many of the same tech found in the Pure Hot + Cool Link. 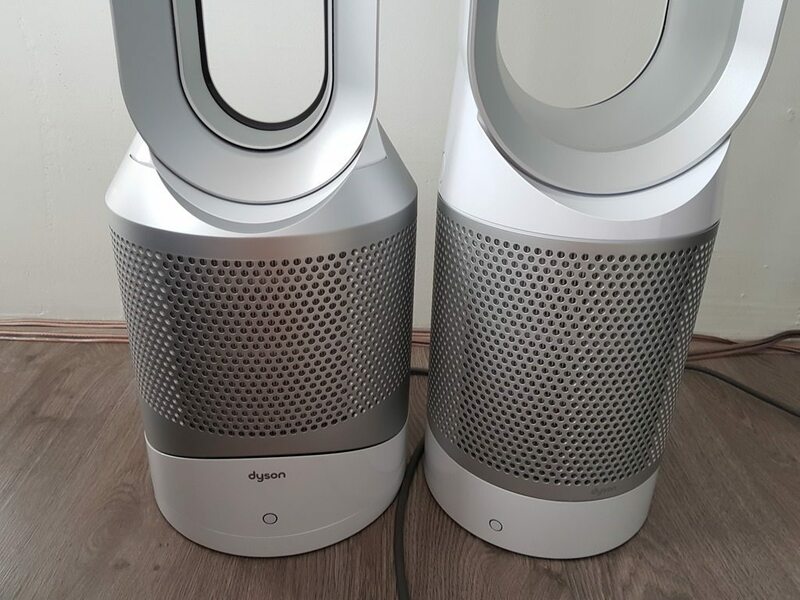 This review will focus on the major differences between the two purifiers and Dyson’s other heater: the AM09. 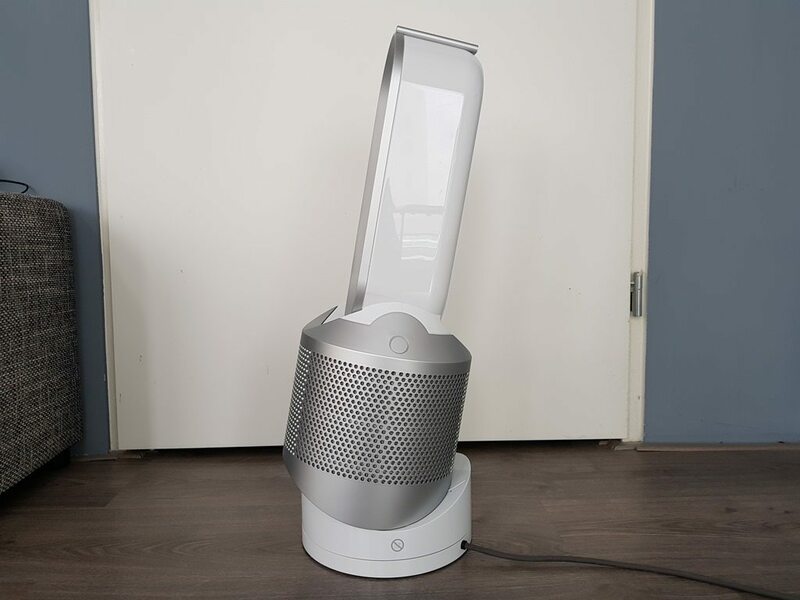 Take Dyson’s AM09 heater and fan, add a removable glass HEPA filter, Wi-Fi and “smart” capabilities that allow it to be controlled via the internet, make it compatible with the Dyson’s app and you get the Dyson Pure Hot + Cool Link (PH+CL). It’s three devices in one and that’s exactly the reason for the long product name: “Pure” refers to the device’s ability to purify the air, “Hot” states its ability to function as a heater, “Cool” basically means it can function like a fan and finally “Link” means it’s a connected and smart device. 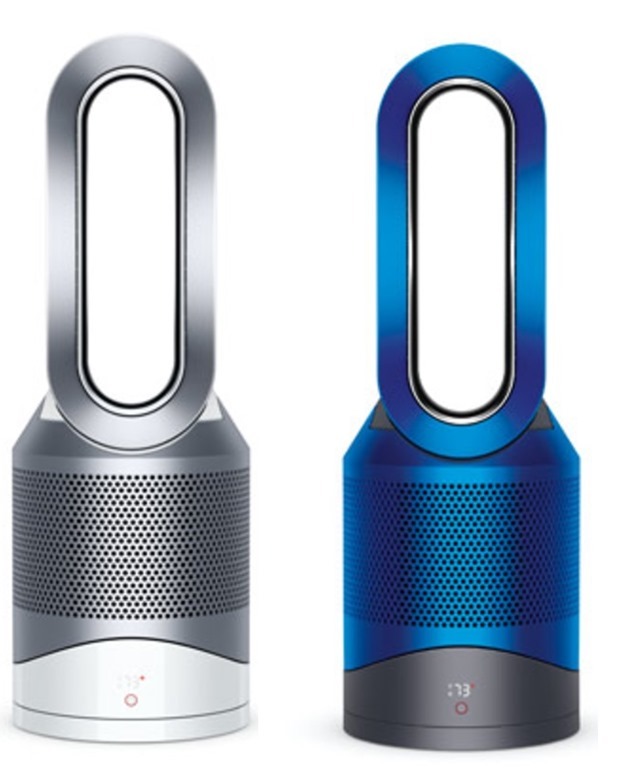 We didn’t like the name of the Pure Cool Link and Dyson didn’t make things any better, in fact they made the name even longer by simply adding “Hot” to the name. Like before the name is too long and isn’t something you would remember. We feel they could have done much better in the naming department. 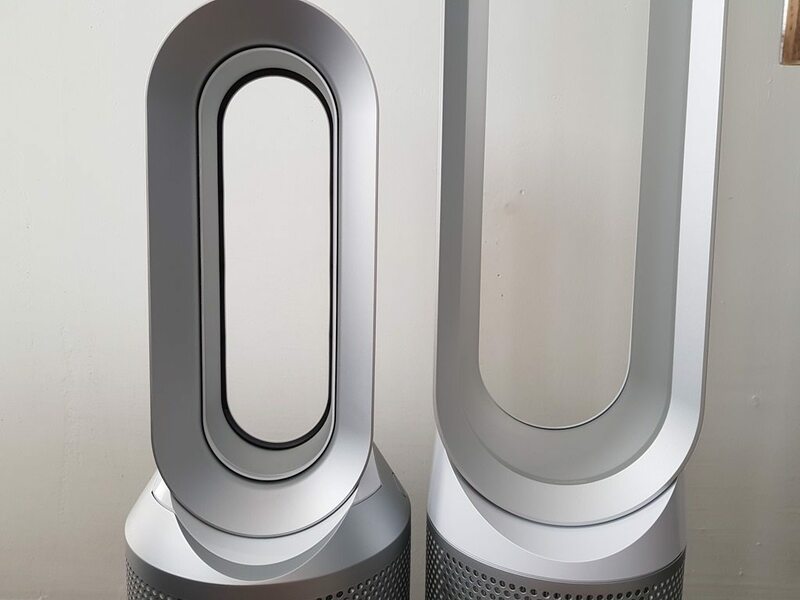 While earlier fans where always a combo of two separate functions that could work in tandem, like fan+heater, fan+purifier or fan+humidifier, this device is a first for Dyson, with the PH+CL taking it up to three separate function: fan, heater and purifier. This not only makes it their most advanced fan to date, but also their most expensive at 599 euro, 20 euros more than the Pure Cool Link and 250 euros more than the AM09. 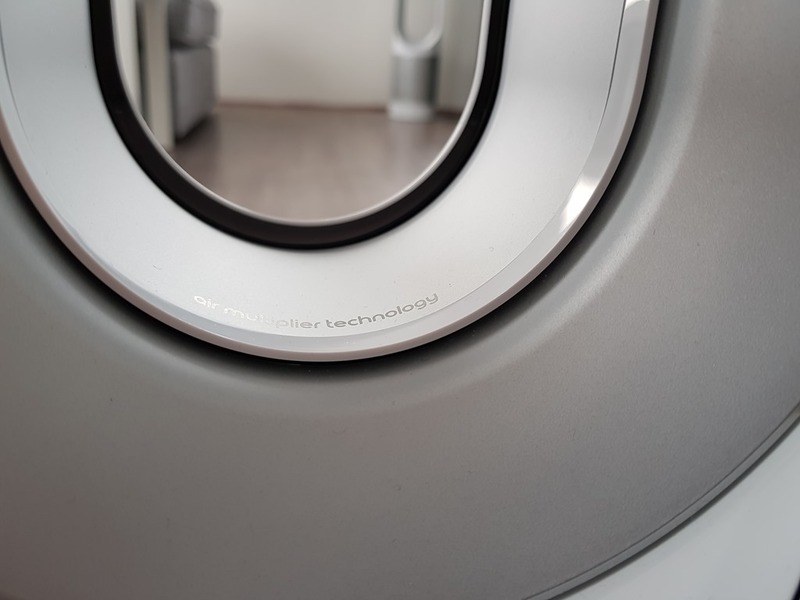 In the US it’s a different story altogether, where Dyson seem to have launched an updated model with a 2nd gen filter and updated metallic colors: Nickel and Scandium. 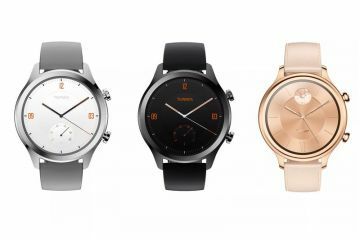 The new model will set you back $619 (or $20 dollars more than the PCL and $150 more than the AM09 ), while the previous model is still available and priced at $599(similar in price to the Pure Cool Link.) The current colors White/Silver and Cobalt/Blue are still available. In the US at least, we’d suggest forking the extra 20 dollars and go for the models with the newer filter. 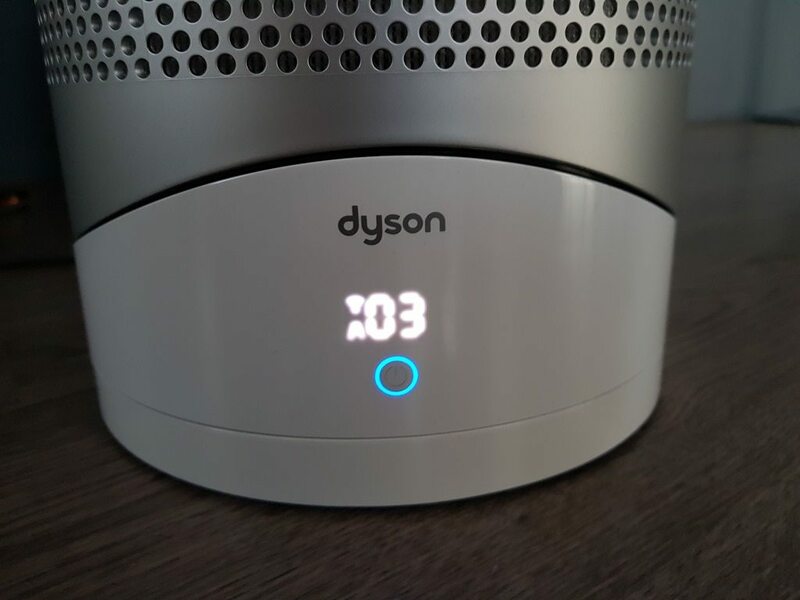 This device is a first for Dyson, with the PH+CL taking it up to three separate function: fan, heater and purifier. As for the refreshed version of the Pure Hot + Cool Link, it appears that the new colors and the 2nd gen filter are the only difference when compared to the original model. According to Dyson the: “2nd Generation filter has three times more graphite than 1st Generation. Also has Tris-coated graphite crystals to capture more household odors and gases, such as formaldehyde.” A quick look on their website reveals that you can buy a replacement filter, but there is no mention of it being a 1st or 2nd gen model. We also have no idea whether the 2nd gen filter will work with the original model of the Pure Hot + Cool Link. We are willing to bet that it will. Speaking of filters, it can be used for about 4500 hours or about a year of usage, assuming the fan is running 12 hours a day. The filter will also set you back $69.99/€64,90, a fair price for a filter that should last you at least a year. Just be aware that after paying that hefty $619/599 euro price, you’ll still need to buy new filters every year, something that will seriously increase the overall price with time. As for the refreshed version of the Pure Hot + Cool Link, it appears that the new colors and the 2nd gen filter are the only difference when compared to the original model. 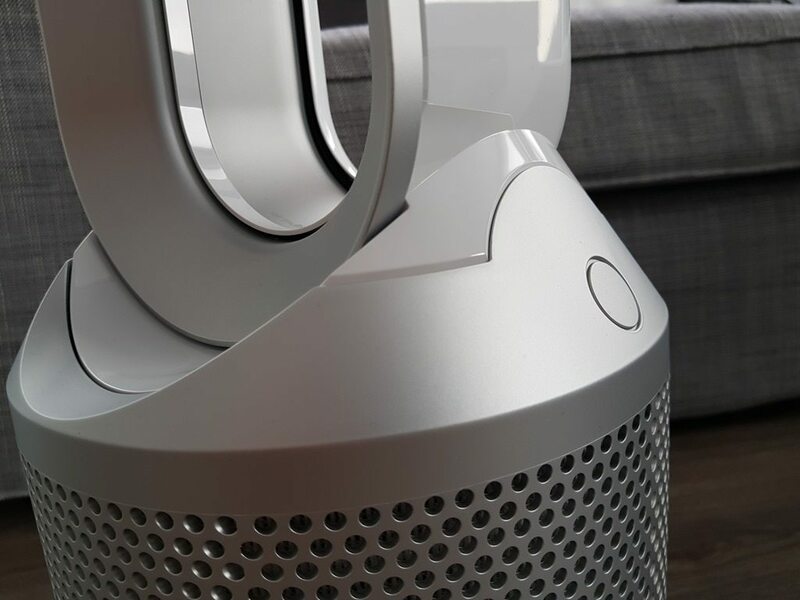 Compared to the PCL, the Pure Hot + Cool Link has the advantage of being able to be used year-round: fan/purifier during the summer and a heater/purifier during the colder months. The PH+CL also has ability to focus or diffuse the air flow coming out of the unit, something the larger fan lacks. One aspect to consider however, is that due to the smaller Amp the PH+CL is simply less effective at pushing air and as a result, the larger PCL will easily outperform it as a fan. If you’re looking to cool larger rooms, the Pure Cool Link will be the better choice. The PH+CL is very similar to the AM09, but adds Wi-Fi capabilities, additional sensors, a HEPA filter and the ability to work with the app and be controlled remotely. Also, unlike “dumb” devices like the AM09, the PHCL is firmware upgradeable which in theory could mean better performance and added features. 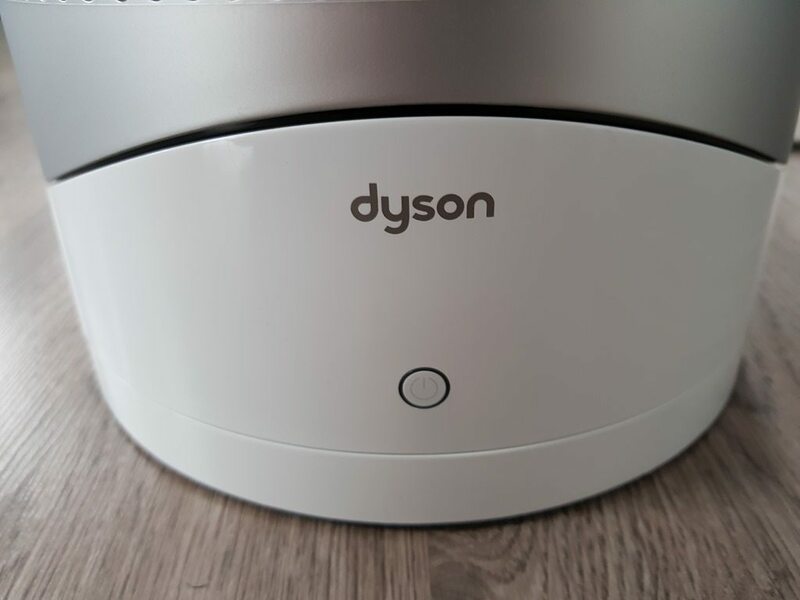 Since we’ve had the unit, Dyson has pushed several firmware updates to the device showing their commitment to improve their devices. Unlike “dumb” devices like the AM09, the PHCL is firmware upgradeable which in theory could mean better performance and added features. The Pure Hot + Cool Link continues the new design language introduced with the Pure Cool Link and further exaggerates it with an even wider main body, curvier lines, an amp that sits deeper into the main body that in turn wraps around a larger portion of the amp when compared to the PCL. It basically looks like the Pure Cool Link has been squeezed into a smaller unit with the excess material sitting in the bulbous base. 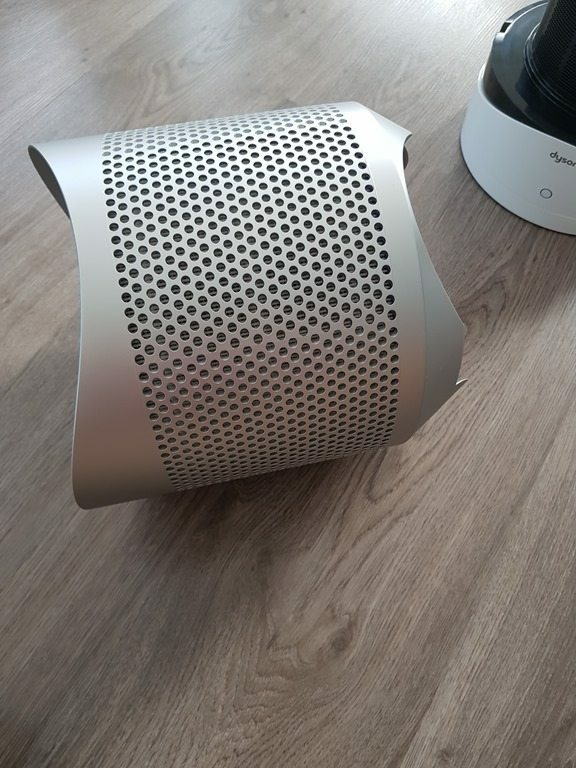 While the amp has always been the center piece, this new design language puts more emphasis on the base and its ability to purifier incoming air by using a metal perforated basket as a design element that instantly catches the eye. The PH+CL continuous this very same trend started by the PCL and is instantly recognizable as being part of the same family of products and one that uses the same design language, but there are differences. When the Pure Cool link’s metal basket had simple rounded corners, the updated design on the Pure Hot + Cool Link has the metal basket flowing upwards toward the amp and beautifully curving downward. Despite the curvier lines and more bulbous body, we still prefer the simpler and iconic shape of the PCL. While both the PCL and PH+CL are beautifully designed and share the same design DNA, the Pure Hot + Cool Link tends to look more techy, while the simpler silhouette of the PCL looks more like a beautiful sculpture. Despite our preference gravitating towards the larger purifier, the PHCL is still one beautiful piece of tech and is without any doubt the best looking stand-alone heater on the market today. Despite having a smaller and thicker amp that makes the overall design less impressive when compared to the larger fan, the PH+CL still can be unplugged and serve as a beautiful piece of modern art. What we’ve said about the Pure Cool Link still applies here. 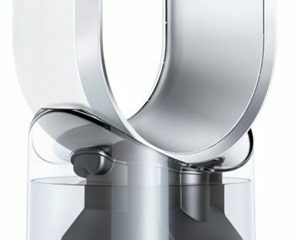 Dyson is known to create beautiful pieces of tech with a very iconic silhouette and the PH+CL doesn’t disappoint. If you’re looking for a heater and you value design, especially where modern design is concerned, your search should stop right here. Its design stands out, yet versatile enough to be able to blend in and looks great in just about any interior décor, especially with Dyson’s trademark White/Silver colorway. It’s a versatile colorway with a “soft” look that fits in with just about any interior design. Sadly, the same cannot be said about Blue/Cobalt colorway, which requires a very specific look. 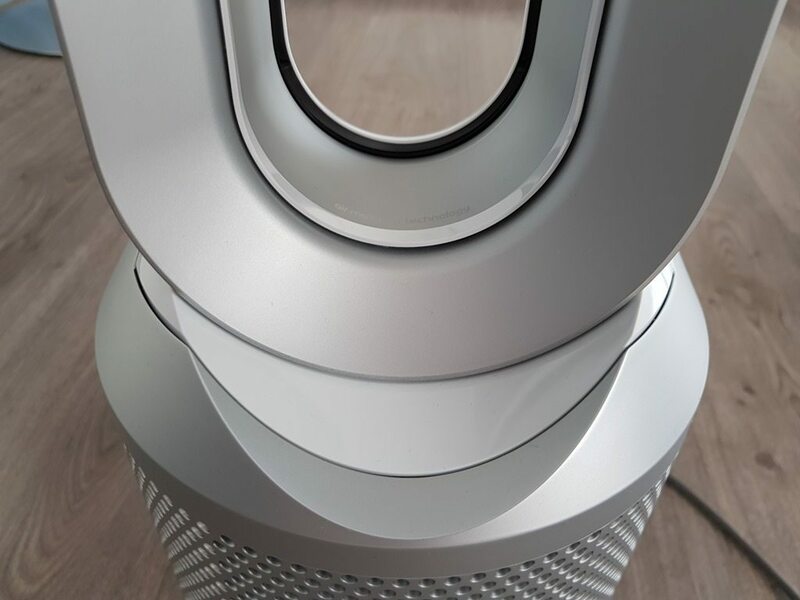 Dyson have also introduced two metallic colorways that make a bolder statement than what we’ve seen so far from Dyson, while still being versatile enough to fit into any interior. We really love the new direction they’re going with these metallic colors. 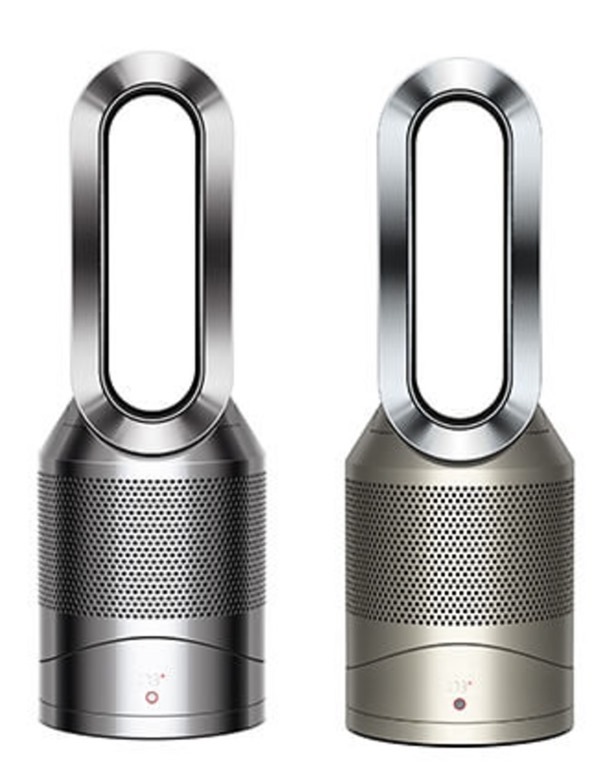 We would love to see a matte black version, so Dyson please make it happen! However we wouldn’t miss the Blue/Cobalt if they decided to drop. It’s been a trademark colorway for Dyson for some time now, but it’s too specific and simply wouldn’t fit in most homes. Despite our preference gravitating towards the larger purifier, the PHCL is still one beautiful piece of tech and is without any doubt the best looking stand-alone heater on the market today. The unit consists of 4 parts: the loop amplifier, the main body, basket and filter. 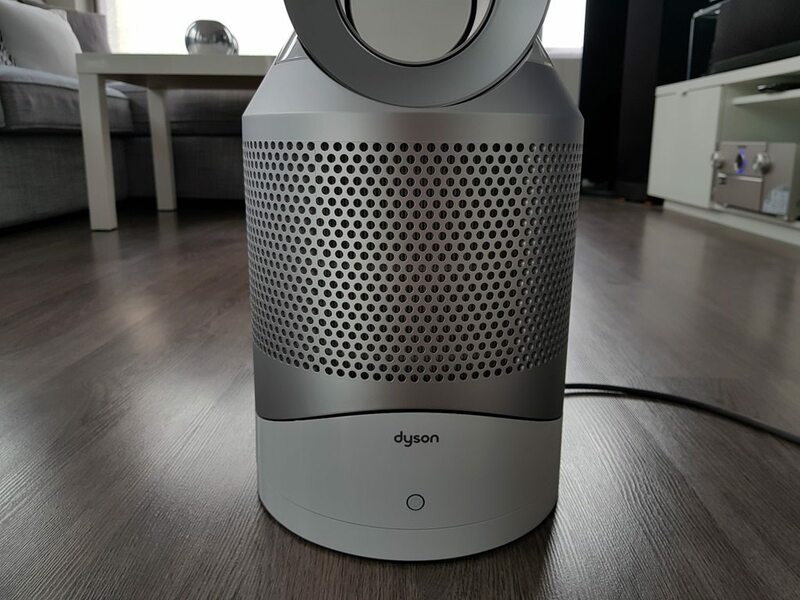 As expected from Dyson’s heaters, the amp is much shorter and thicker due to the inclusion of heating elements. The remote can still magnetically attach to the top of the amp, an elegant yet simple solution that’s very characteristic of the range. I still find myself hunting for the exact spot where to put the remote, but this isn’t always successful, with the remote ending up on the floor. This “hunting” for the exact location to place the remote also meant some scratches on top of the amp. 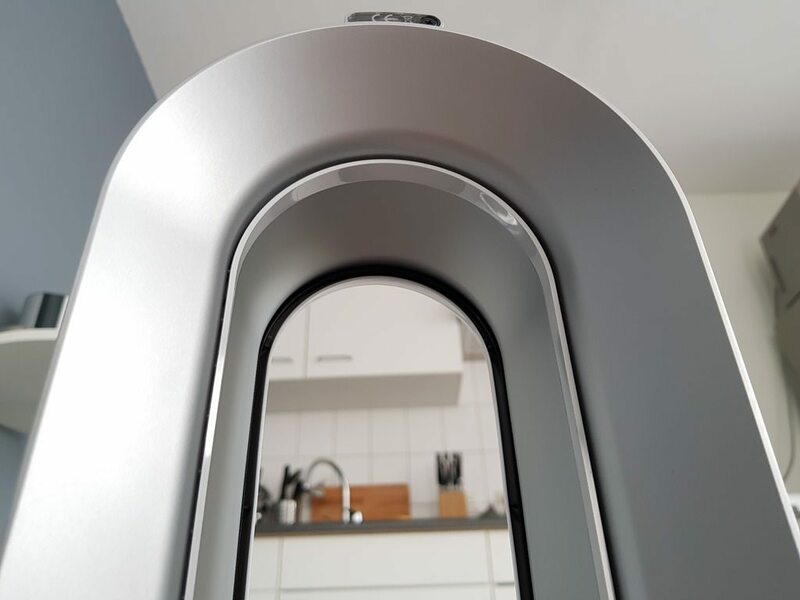 Dyson should consider adding a subtle line or dot to guide you to the exact spot or consider using a stronger magnet. The amp serves as an effective way to carry the unit from room to room. The heating elements are placed on the left and right walls, but the top of the amp where you can hold it always remains cool. Despite prolonged usage of the heater, the outer plastic shell never got hot to the touch. One advantage of the Pure Hot + Cool Link compared to the regular Pure Cool Link is a thin white strip that can automatically be adjusted in angle by a single press on the remote to give you either a either a wide or focused airflow: perfect for those cold nights where you want to focus the hot airflow to your feet. On summer days I can set it in fan mode and cover a wider part of the room. If you quickly want to heat the entire room the wide airflow will also come in handy and is a feature I absolutely loved. Unlike the PCL, the amp is permanently attached to the body. The amp is glossy white on the outside and a matte silver on the inside. The remote itself is slightly taller than the unit included with Pure Cool Link. 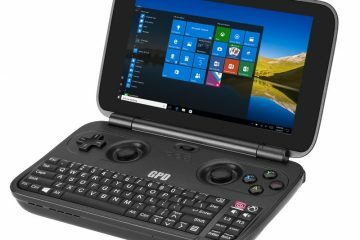 It has colored buttons to choose either the hot or cooling mode and the inclusion of buttons for a wide/focused airflow. 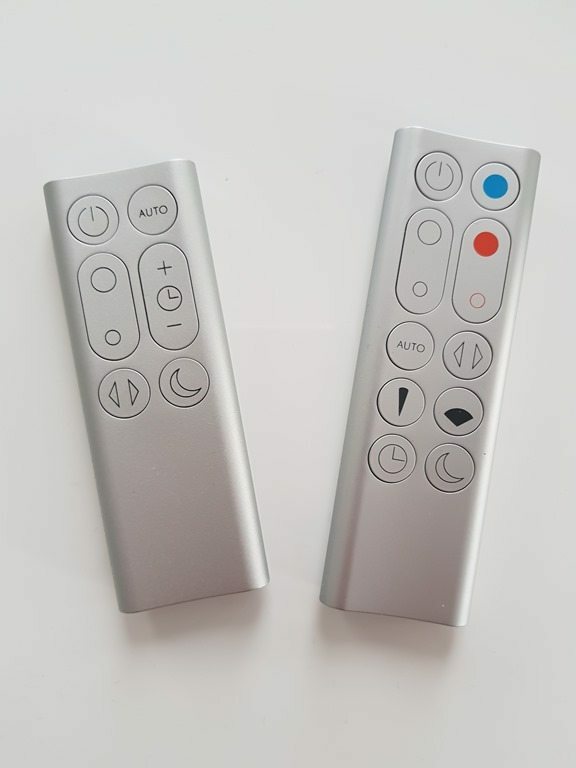 Despite these small changes, the remote remains mostly the same. It’s a compact and elegant remote that really does justice to the overall design language. What also hasn’t changed is the fact that they’re still using disposable batteries. We’ve been asking for a remote with rechargeable batteries from Dyson for a while now, but sadly they’ve remained true to disposable batteries. A system with inductive charging build in the top part of the amp have been perfect. Considering the level of refinement Dyson have achieved with this product, there’s simply no excuse for using disposable batteries. Considering the level of refinement Dyson have achieved with this product, there’s simply no excuse for using disposable batteries. 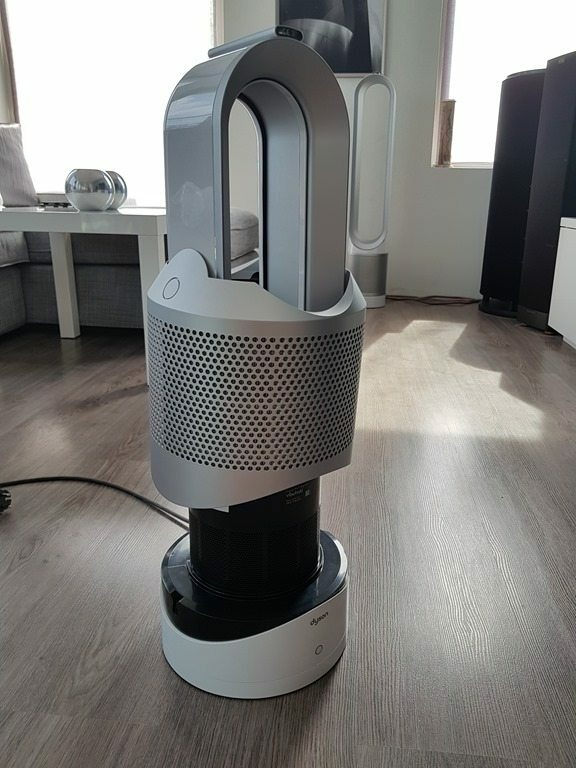 The main body is much wider when compared to Dyson’s AM09. This meant that they could axe the base, a flat circular piece that prevented the unit from toppling over. A welcome decision, since the removal of the of the flimsy base gives the unit a more streamlined look. It also meant the removable of just another part that could potentially break and requiring a replacement. The main body is divided in two parts: the upper part (including amp) that can glide along a rail giving the unit a tilt function and a lower half that houses the LED display and swivel mechanism. The tilt function is a welcome addition to the purifier family, but has to be done manually. For a product of this price category we’d expect this to be done automatically, something we hope Dyson executes on future iterations. When changing filters, you to have press two buttons, each located just below the amp and basically lift the metal basket + filter combo over the amp. It’s a very tight squeeze and it always felt like it wouldn’t have enough space to be removed. There’s also the issue that parts are actually touching as you’re removing the basket. So far this hasn’t been any issue with no scratch in sight, but admittedly this isn’t the most elegant solution. We would have preferred a removable amp like the Pure Cool Link, which simply gets out of the way of the metal basket + filter combo. Luckily, changing filters is something that has to only be done once a year. 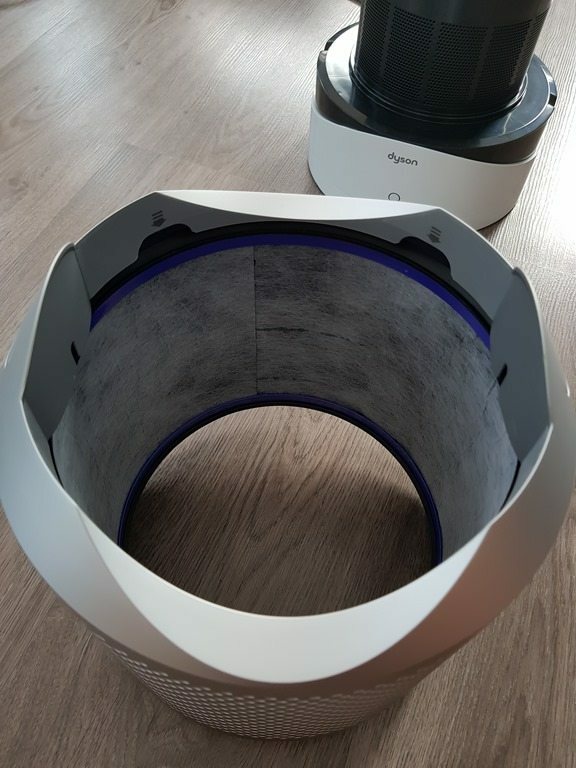 On the plus side, the removeable the basket and filter also means that the inside of the unit is accessible and can be cleaned, something that couldn’t be done on older Dyson fans and heaters. The front of the unit has a two-digit White LED display. It’s very simple, completely disappears when turned off and fits the understated elegance of the unit. Beneath the display you’ll find the power button that lights up either Red or Blue depending on the mode the unit is in. On the back, you’ll find the non-removable cable. What we said for PCL, can be still be summarized here: “unlike the Humidifier, the cable sadly cannot be removed. When not plugged in, the cable just sits there. We would have loved a retractable cable that can be stowed in the body, similar to some of their vacuum cleaners. This is in no way a deal breaker,” but at this level of refinement, it would have been a nice touch On the back there’s tiny hatch that protects the sensors behind it. Unlike the Humidifier, the cable sadly cannot be removed. When not plugged in, the cable just sits there. We would have loved a retractable cable that can be stowed in the body, similar to some of their vacuum cleaners. Design wise, this product has been perfected where quality, fit, finish and design are almost perfect with very little to complain. It all comes down to small details that keep the unit from being almost perfect in terms of design. 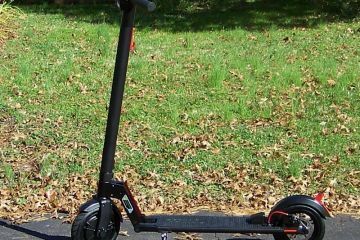 A rechargeable remote is in this day and age is a must and we would love to see an electronically controlled tilt function and a retractable cable would have been icing on the cake. Even without these features, this device is simply beautifully designed with materials and an overall fit, finish and quality I rarely find with heaters. For a full break-down of the app, we’d suggest reading our in-depth review of the Pure Cool Link. Since the introduction of the PCL and the app I can say is that Dyson has been consistantly pushing firmware updates to both the PCL and the PC+HL and frequent updates to the Android app, showing their commitment to the app and their new connected devices. As a result, the app has been very stable without any hiccups or crashes. For a first attempt at an app, Dyson’s app has been incredibly stable. For a first attempt at an app, Dyson’s app has been incredibly stable. We had an issue with the setup process of the PCL due to our phone being connected to the 5 Ghz Wi-Fi frequency, while these devices only support the 2.4Ghz frequency. Dyson has fixed this issue and we didn’t have any problem during the setup as the app clearly informed us to switch to the 2.4Ghz band. The Pure Hot + Cool Link maintains the sensors for the handy indoor data like air quality, temperature and humidity. Another nice touch of the app is the outside air quality, temperature and humidity. In the future, we would love a version that also measure Carbon Dioxide and Carbon Monoxide levels, features it currently lacks. We would love a version that also measure Carbon Dioxide and Carbon Monoxide levels, features it currently lacks. The app basically gives you the same controls as the remote, but Dyson has decided to go for a vertical button placement making poor use of the available space. 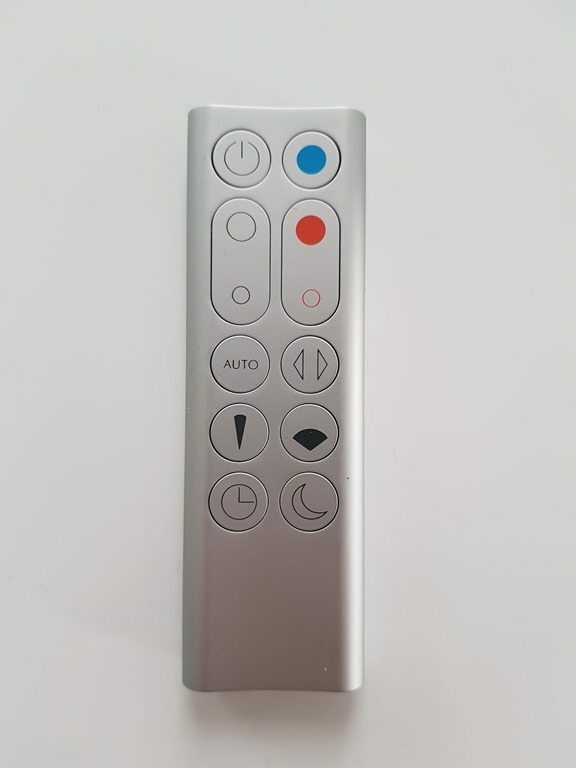 We’ve said in the PCL review and we’ll say it again: Dyson should just mirror the remote in the app, with the exact same button layout with large icons as the physical remote. 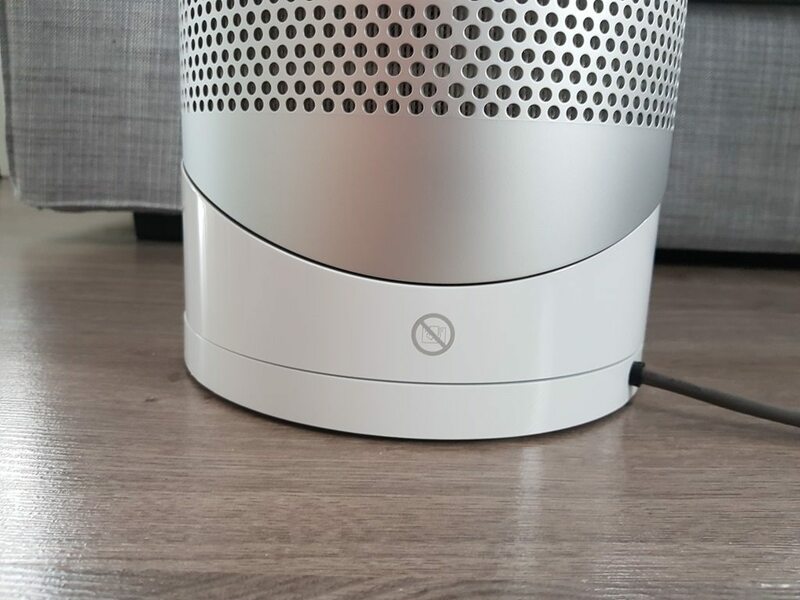 Dyson is all about simplicity and visual simplicity and digitally recreating the physical remote with the same button layout in the app would continue this theme of simplicity. Another feature we would like to see is the support for IFTT. IFTT has quickly become the go-to-app for home automation and a feature that many manufacturer are even touting as a unique selling point. We’ve asked Dyson about this and the answer has remained the same. They currently are not supporting it and they can’t comment on if they are working on of if it will ever come. We’re guessing that they are at least investigating the possibilities of making this happen. Hopefully we’ll see this soon enough. Adding this feature would make the purifier that much useful. In conclusion, Dyson’s app is typical of what we’ve come to expect from them: simple, reliable and fast. Dyson pushes frequent updates to the app and their fans also get frequent firmware updates. We love sensors for the handy indoor data like air quality, temperature and humidity and the outside air quality, temperature and humidity are a nice touch. The app is close to perfect, however we would like IFTT support and Dyson should considering mirroring the physical remote in the app. The app is close to perfect, however we would like IFTT support and Dyson should considering mirroring the physical remote in the app. 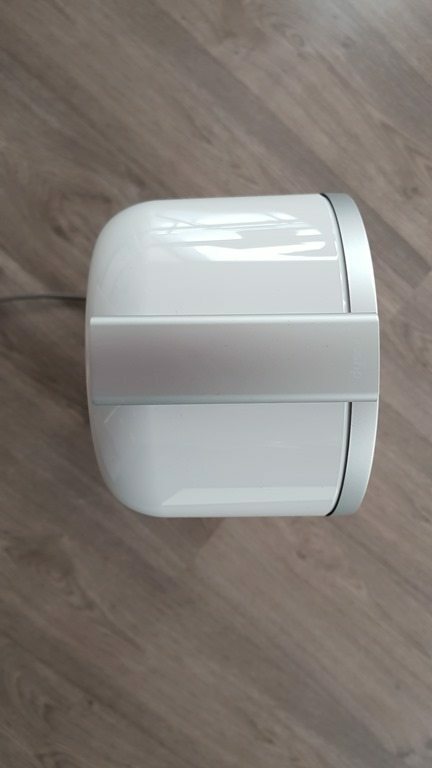 The Pure Cool Link was my first experience with an indoor purifier and I was skeptical to say the least. 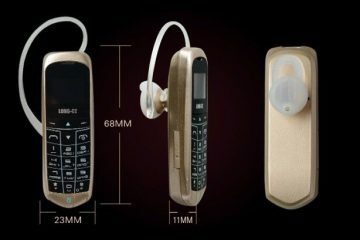 In that review I stated: “but within a few days of using the device I was convinced. Being allergic to dust and pollen, I usually have a stuffy nose and itchy eyes in the summer. I started a routine of having the purifier in the bedroom at night and in the living room during the day, basically running all day in automatic mode. 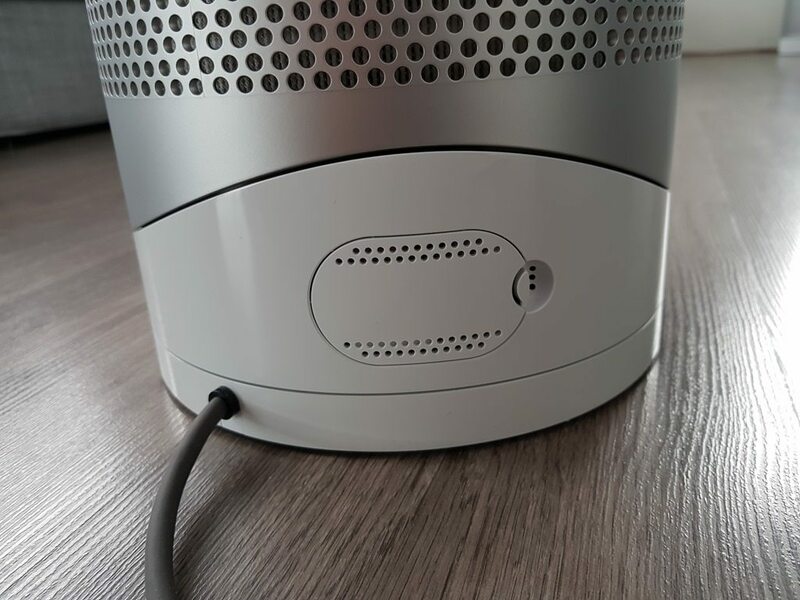 This mode allows the device to monitor the air quality and will automatically turn on, adjust the fan speed and even enter a sleep mode to conserve power, all based on the current air quality. 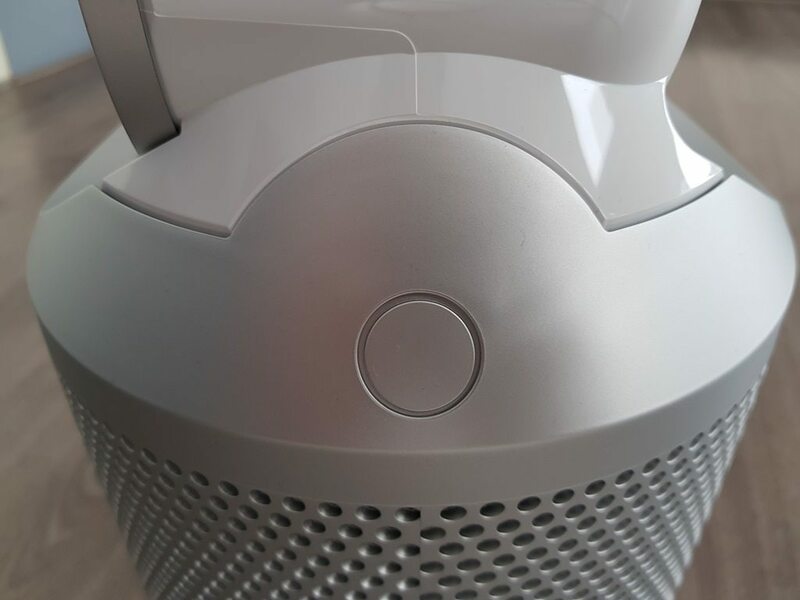 In some cases, where the room was dusty or right after putting on some perfume in my bedroom, the purifier (in the living room) was sensitive enough to detect this and would automatically turn on and purify the air and automatically turn off after less particles were detected. Not only have I noticed a dramatic drop in overall dust around the house, but I don’t wake up with itchy eyes or a stuffy nose. As someone who’s allergic to dust and pollen, the PCL has had a dramatic effect to the point that I can’t go back to a fan that doesn’t have a HEPA filter.“ The same applies for the PH+CL, but with the bonus that I could have the same purified air in the winter. The little Pure Hot + Cool Link was also very effective at clearing the air after cooking. I have a habit of leaving it in auto mode, basically its “set it and forget it mode.” Within minutes of starting to cook, it would start to purify the air and was able to clear odors within 30 to 45 minutes. 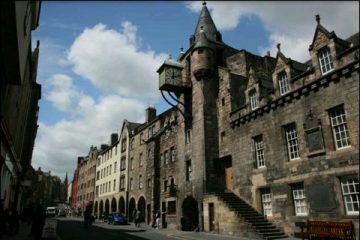 it would start to purify the air and was able to clear odors within 30 to 45 minutes. As for its performance as a fan, the smaller amp means that it will be less effective when it comes to pushing air. To give you an idea, the Pure Cool Link is able to push 414 liter per second while the Pure Hot+Cool Link has a maximum performance of about 204 liters per second. 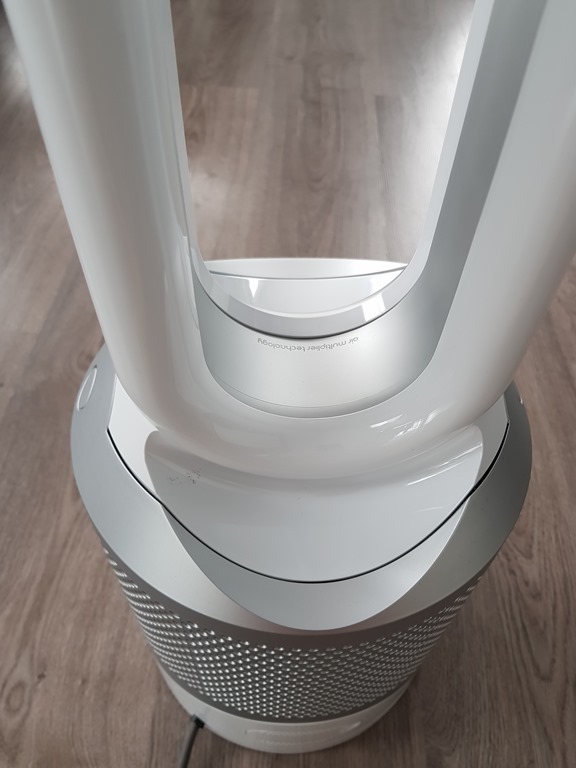 The beauty of these fans is however the ability to create a soothing, consistant, breeze-like column of air, which means that you never will need to set them at their maximum level to get the cooling effect. It does mean that PCL will have to work less hard to push air and will have more horse power left to cover larger rooms. For example when I needed to set the PH+CL to 5, the larger fan could easily be set at a level 2 or 3. This also has an effect on the generated noise. Using a decibel meter, standing behind both fan’s amp, the larger PCL was 5 decibels quitter than the PH+CL when both we’re set at their maximum performance. 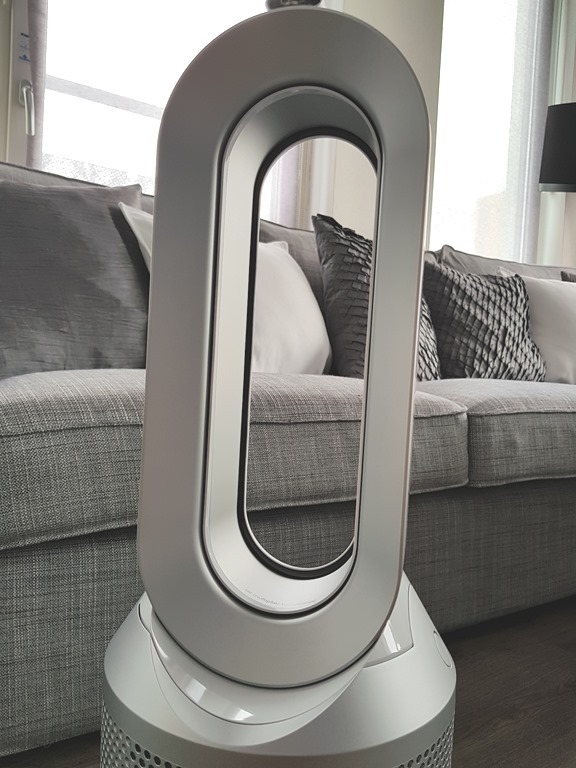 To summarize would say that as a fan it’s perfect for apartments or smaller rooms, for larger room you’ll definitely need the Pure Cool Link. 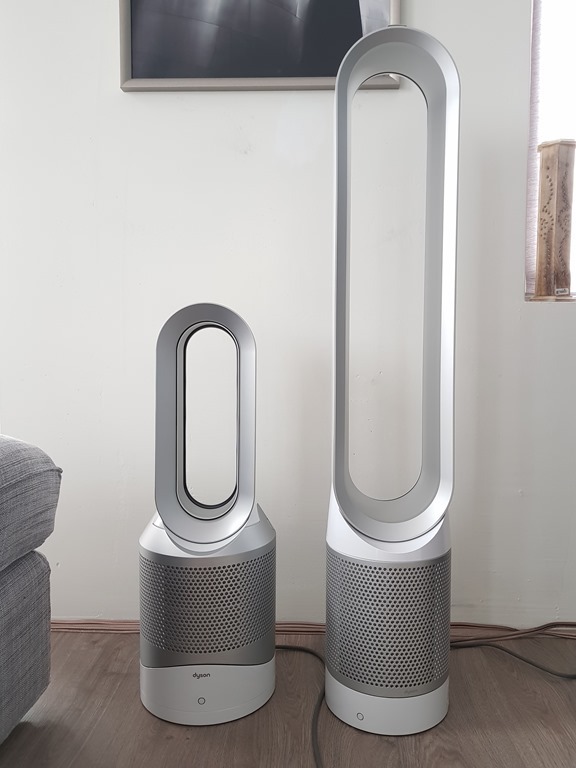 The larger is fan with its larger is also quieter and more efficient at pushing air. it’s perfect for apartments or smaller rooms, for larger room you’ll definitely need the Pure Cool Link. As a heater there isn’t much of difference when compared to Dyson’s earlier heaters, admittedly there’s wasn’t much that could be improved upon. Previous heater we’re known to rapidly produce hot air in less than a minute and dramatically raise the temperate of my entire living room in about 10 minutes, something my floor heating system could never achieve. This device is slightly faster, requiring about 5 to 10 minutes to heat a medium sized room. This is even more remarkable when you realize that all of this is coming from compact device that never really gets hot that you can’t touch the outer shell, all while it’s also purifying the air. Very impressive! The heater is not only effective for heating entire rooms, but I sometimes I use it to just heat just my feet or hand on those cold winter nights using the focus setting with a lower fan speed. Something to note however, is that especially in focus mode, it will have a drying effect on your eyes and skin, which admittedly isn’t Dyson’s fault. 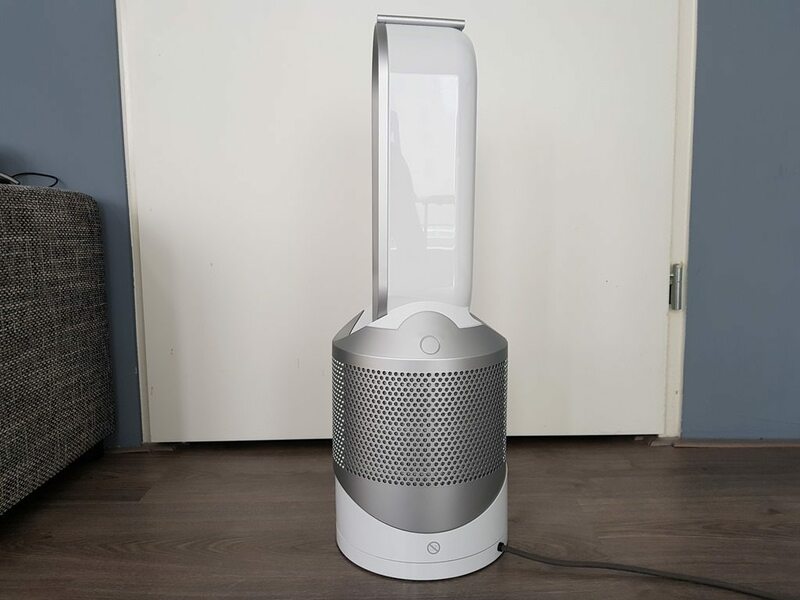 The Dyson Pure Hot + Cool Link is the culmination of years of perfecting their fans and heaters with the addition of a purifier. 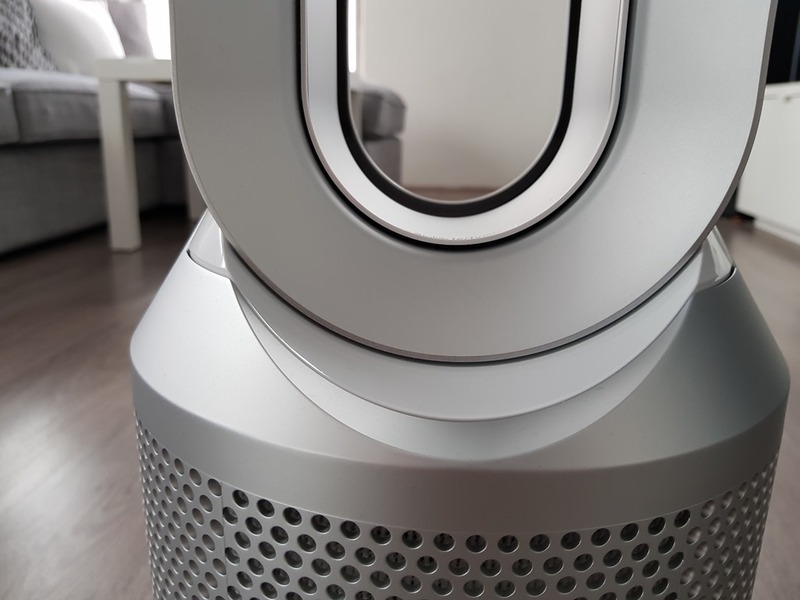 The final product has level of refinement, fit and finish I rarely see with fans, heaters and Dyson’s own previous fans. 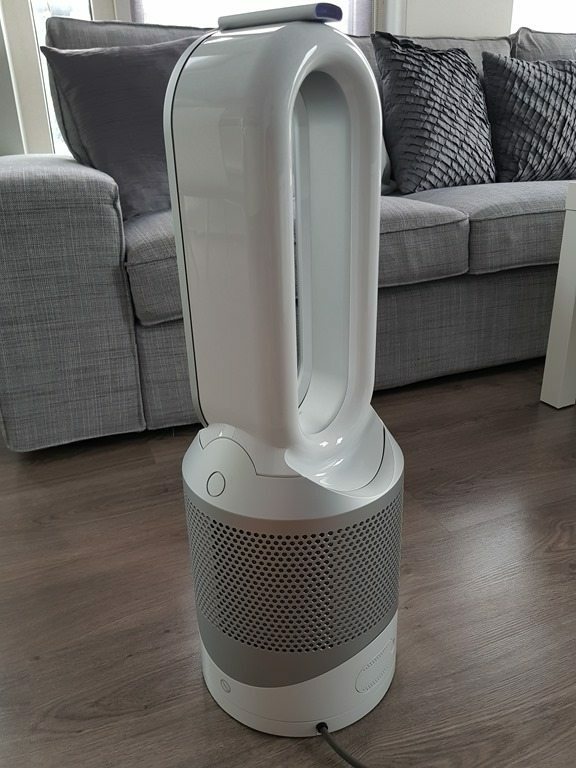 It works flawlessly as a heater and purifier, but as a fan it simply can’t keep up with Dyson’s larger Pure Cool Link and AM07. 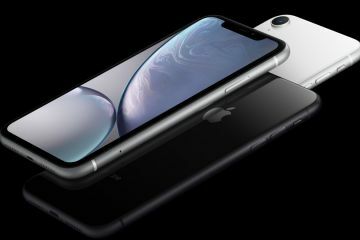 The move into the smart and connected era has been just as successful as the Pure Cool Link with frequent updates and a simple and solid app. We do wish they would mirror the physical remote in the app and add IFTT performance. The Pure Hot + Cool Link is a solid, but there is room for improvement. 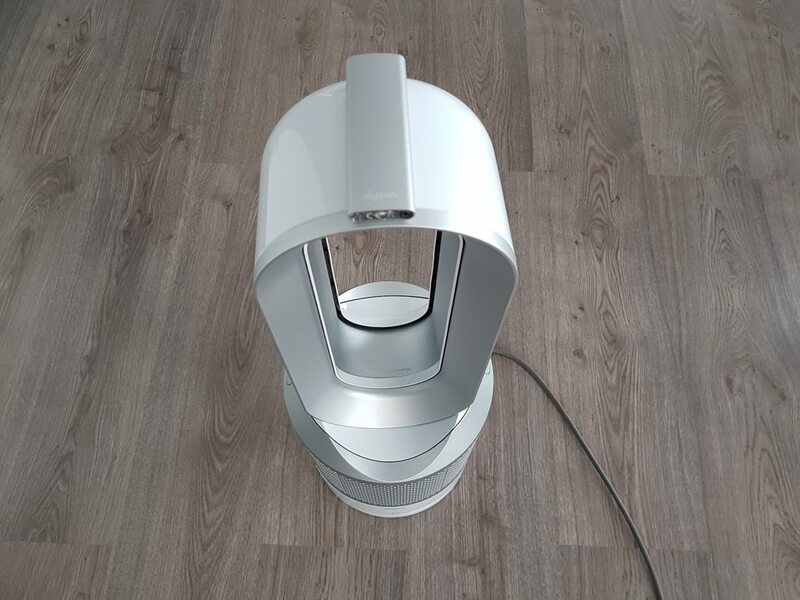 We would like to see the use of rechargeable batteries in the room and the tilt feature should be done mechanically. Also, the way the basket/filter is removed isn’t the most elegant solution. 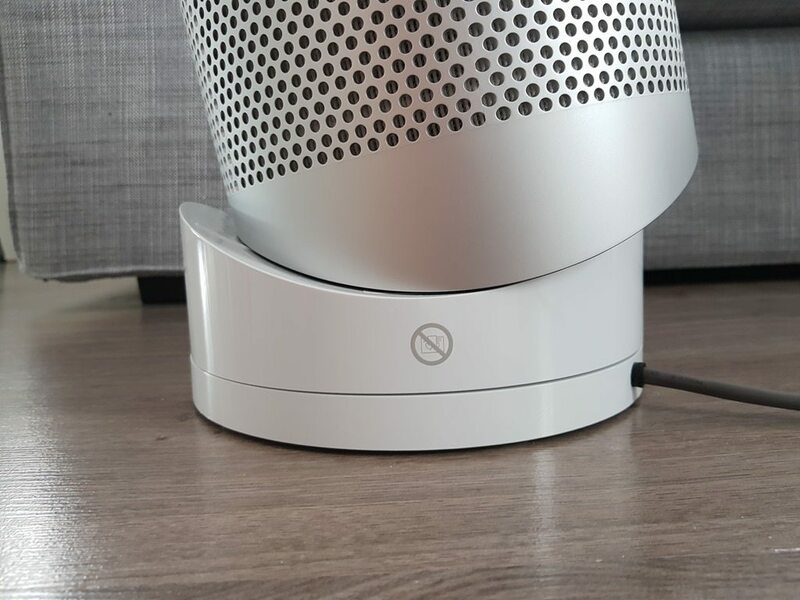 Dyson should consider a removable amp, similar to the Pure Cool Link. The Pure Hot + Cool Link has reached a point of refinement that I rarely see with any smart home device and it’s interesting to see where they go next, it gets a well-deserved 9.8 out of 10.